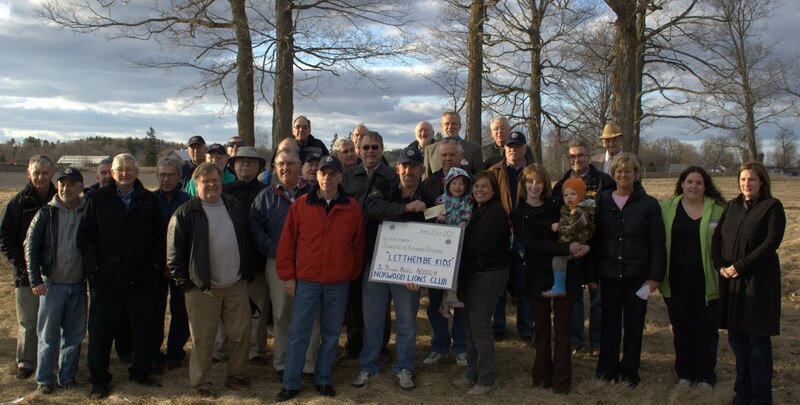 The Norwood Lions Club has committed to helping with the new playground!! Tonight we received part of their monetary donation up at the site of the new park. A HUGE thank you to the Lions club for all their help!!! Doug White, Rodger Bonneau, Ava Rutherford, Patricia Heffernan, Lily Sedgwick, Kendra Sedgwick, Krista &Mason Rutherford.